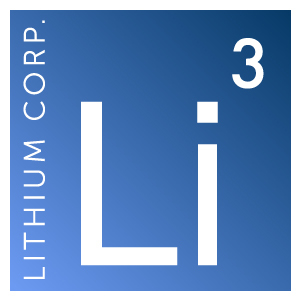 Elko, NV – December 14, 2017 – Lithium Corporation (OTCQB:LTUM) (“LTUM” or “the Company”), a North American company focused on energy metals for the growing energy storage sector and high tech industries, is pleased to announce that Summa LLC (“Summa”), which LTUM owns a 25% interest in, has recently entered into an agreement whereby it will sell a 100% interest (subject to a 1/2% Net Smelter Royalty or NSR) in the 20-acre Copper Chief patented mineral claim located in Nevada for $103,000. Additionally, Summa has received an offer to option its other four patented claims in the Goodsprings Mining District. Lithium Corporation’s President, Tom Lewis, is a Managing Member of Summa, which holds multiple properties throughout Nevada that originated from Howard Hughes’s Summa Corporation. There has recently been considerable activity in the area around Summa’s Goodsprings properties in Clark County Nevada. The Goodsprings area was previously a producer of a host of minerals, including cobalt, which occurs in the wall rocks of the past producing copper mines in the area. Cobalt is an essential component of lithium-ion batteries. There has been a noticeable increase in the price of cobalt products in the past several months and hence a surge of interest in the mining community in areas that have previously produced cobalt, or may be prospective for becoming a future producer. Summa’s land position here is scattered, unconsolidated and modest is size. Therefore, LTUM and its partners in Summa have determined that they are best served by dealing off these properties rather than incur the risk and costs of trying to develop them on their own.